Daljeet put a buy on Meghmani Organics on 6th August 2014 by calling it a “classic turnaround story”. The stock was quoting at Rs. 15 then and he promised a target price of Rs. 34 for the stock. The stock touched Rs. 30.70 on 12th November 2014, yielding a 100% return in just 3 months. The CMP is now Rs. 25. In his latest report dated 1st January 2015, Daljeet has reiterated his target price of Rs. 34 for the stock. Daljeet put a buy on HSIL in April 2014 when the stock was quoting at Rs. 136. He has been periodically increasing the targets. The latest target for the stock is Rs. 485. The stock did touch a high of Rs. 411 on 9th October 2014, yielding gains of 200%+ since Daljeet’s first recommendation. Daljeet put a buy on Capital First on 16th July 2014 when the stock was at Rs. 223. At the CMP of Rs. 379, there is a gain of 69% in about six months. Daljeet has forecast an interim target price of Rs. 400 for the stock. This is a brilliant strategic pick. Daljeet recommended the stock in July 2014 when the stock was at Rs. 190 and repeated it when the stock was at Rs. 272. At the CMP of Rs. 401, there are gains of 100% since the first recommendation. Daljeet has increased the target price to Rs. 550. Incidentally, ICICI-Securities has also issued a report foreseeing a target price of Rs. 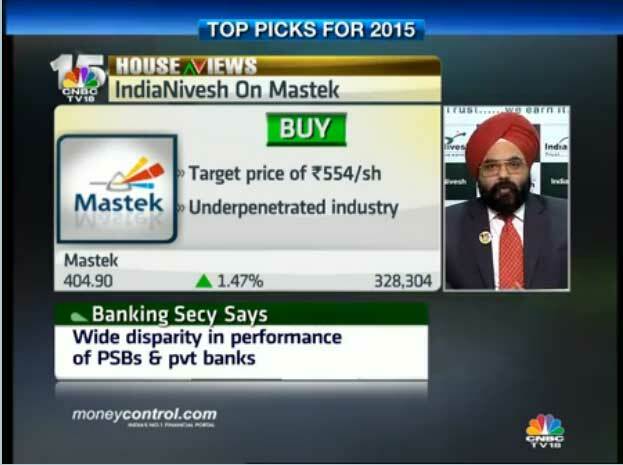 600 for Mastek. Daljeet put a buy on Shilpa Medicare on 24th March 2014 when the stock was quoting at Rs. 348. At the CMP of Rs. 708, there is a 100%+ gain in 9 months. 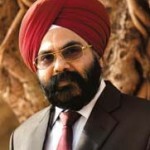 However, Daljeet underestimated Shilpa Medicare’s potential. 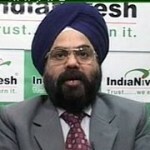 He has presently recommended a ‘Hold’ of the stock and even downgraded its target price to Rs. 473. Daljeet recommended Aurobindo Pharma on 8th August 2014 when the stock was quoting at Rs. 714. He promised a target price of Rs. 817. Today, the stock is at Rs. 1132, yielding gains of 58% in 5 months. There is no update from Daljeet about what should be done with the stock now. Daljeet first recommended the stock on 1st April 2013 when it was Rs. 769 and reiterated it on 13th June 2014 when it was at Rs. 1109. At the CMP of Rs. 1709, there is a gain of 122% from the first recommendation and 54% from the second. Daljeet recommended JB Chem in October 2013 when it was at Rs. 94. He has been periodically reviewing the target price and the current one is Rs. 295. At the CMP of Rs. 204, there is a 100%+ gain from the first recommendation. Sharon Bio-Medicine has the dubious distinction of being both, a winner as well as a loser stock. Daljeet recommended it on 3rd July 2014 when the stock was at Rs. 49.50. On 24th September 2014, the stock surged to Rs. 87 giving huge gains in just 3 months. However, thereafter, the stock slumped like a ton of bricks to touch a low of Rs. 25 on 26th December 2014. The crash was caused by the sale of the promoters’ pledged shares. Since then the stock has been on a strong upward trajectory and is presently at Rs. 38. Whether it will go back to its glory days remains to be seen. Daljeet recommended OnMobile Global on 10th November 2014 when the stock was at Rs. 52. At the CMP of Rs. 73, the gains are about 37%. Daljeet has increased the target price to Rs. 82. Daljeet put a buy on Pennar Industries on 5th September 2014 when it was at Rs. 47. At the CMP of Rs. 58, there are gains of 23% on the table in 4 months. Daljeet latest target price is Rs. 81. Incidentally, Manish Bhandari of Vallum Capital has also put a buy on Pennar Industries. Daljeet recommended Ashiana Housing on 19th September when the stock was at Rs. 159. At the CMP of Rs. 210, the gain is 32% in 3 months. There is no update from Daljeet about what should be done with the stock now though Religare has recommended the stock with a target price of Rs. 245. This is Daljeet’s latest stock recommendation. He has foreseen a target price of Rs. 392 for the stock, which implies a potential gain of 32%. Other winning stocks in Daljeet’s stable are Lumax Auto Technology, Managalam Cement, HIL, Prism Cement, Federal Bank, Karur Vysya Bank etc. Each stock has notched up handsome gains and is still good for more gains according to Daljeet’s analysis. Daljeet does, however, have several errors of omission. He put a sell/ hold on Ajanta Pharma, Kajaria Ceramics, Alembic Pharma, Shilpa Medicare and TVS Motors on the ground that their valuations were/ are expensive. However, this was a misjudgement because the stocks have continued to surge even thereafter. Only time will tell whether Daljeet was justified in his conservatism or not. I was getting fed up with commets bashing DK, so thanks for this Arjun.